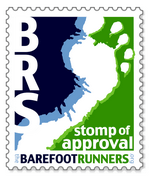 Would I Run It Again: Undoubtedly, I need to beat my newest barefoot PR! ….continued from Weekend Double Header Part #1…. I got home after successfully conquering the Gladiator Rock’n Run in short order, and Mrs MuddyJ had started getting the Thing’s set to go. My second race of the weekend, The Enchanted Rock 25k Trail Run, was set to start early in the morning, so rather than getting up WAY too early, we decided to make a little family trip out of it. now my MuddyJ action figures aren’t so lonely! Then it was time to load up the car and family and get going! So, an uneventful drive and an enjoyable evening saw me and the rest of the family early to bed & early to rise! Morning came, as it invariably is prone to do, and we all woke early and thanks to the foresight of Mrs MuddyJ, we all had a hot breakfast in the hotel room. She had questioned how we would have breakfast the evening prior, and we made the supermarket in town one of our stops…I swear that without that woman, I would be most certainly be done for! It was a short drive from our hotel to the parking area at the Tin Star Ranch. Since there is limited parking at the park, all race participants were assigned areas in which to park. Shuttles were provided for transportation to and from the race site, and the end result was a severe lack of congestion with happy runners all around….. The shuttles dropped us off in the starting area, which was quite small, and I got my first look at the trail surfaces. According to reports I had gotten from friends, I probably wouldn’t need any shoes for this event, and my first look at the trails confirmed it. A quick trip to the potty for a PRD and off came my “J”uaraches – cause not wearing shoes in a port-o-potty is where I draw the line! As is Redemption Race Production’s custom, a pre-race briefing was given, and then we all bowed our heads as a pre-race prayer was said. I kissed Mrs MuddyJ for luck, hugged the Things Three and gave ol’ Dexter a scratch behind the ears for good measure. As there was a 10k option, the 25k runners were released first, and I quickly discovered that I had started far too much towards the rear of the pack. The trails narrowed quickly, and with every technical section the pack slowed to a crawl, sometimes stopping completely. I tried to keep my cool, knowing there was plenty of race to make up lost time, but frustration quickly got the better of me, and I sprinted at every opening that presented itself until I had a clear enough trail in front of myself to settle into a pace without worrying over whether or not I was going to run over someone as they stopped to walk over some rocks or pick their way carefully up or down a small hill. The trail opened up onto a paved parking area, and I slowed to save my feet the suffering that comes with running barefoot on solid surfaces that hide tiny pebbles from being easily spotted-and therefore landed upon. This would prove to be the only flat portion of the run, and the flat path turned into a considerable ascent. The trail surface here consisted of tiny pebbles, which were rounded and smooth, with some muddy sections, and other sections of exposed rock … everything was smooth, and I shortened my stride to maintain my cadence as I climbed the trail. The ascent was a gentle but long climb…but the same could not be said for the descents… every drop in elevation was a rapid drop, usually a few hundred feet, occurring over a short distance. I attempted to make the most of these sections by sprinting all out and allowing gravity to do its thing and the I did well recovering from these sections on the next uphill grade…..it still doesn’t make sense to me that I was using the uphill sections for recovery, but hey… it worked!…somehow…. I bebop’d along as I listen to the music playing through my headphones, keeping an eye on my heart rate more than my pace…The second loop came and went without much incident, and I was feeling great as I started the third and final loop I would have to run before headed straight up the rock, which is a 130 meter climb over the course of about 1/2 a mile. The wound, though ugly and bleeding, proved to be worse looking than it actually was, and I decided I could make it to the next aid station, about a mile away. I hobbled along, assure other runners I would be fine as I passed them, and when I came upon the aid station, I asked if they had a first aid kit…which they didnt..it wasn’t that the aid station was poorly stocked, but the first aid kit had gone with a rescue vehicle that was at the time I in the process of evacuating an injured runner. I ran on, picking up and motivating another runner along the way… we kept each other in high spirits until I made it to the medic. They had radioed ahead and he knew to expect me and his kit was already out. He asked if I needed attention, and I said,”nope, I just need scissors, gauze and medi-tape…oh and something to irrigate the wound” he had everything but water to irrigate the wound, so I cleaned the dirt off as best as I could without it before I clipped it and dressed the wound as best as I could. I thanked him for his sentiments, and the water. I quickly gulped it down and tossed it in a receptacle before I hit the final ascent to the summit..
We made it down as the awards were being given out, and I collected my second hard-earned finisher’s medal of the weekend…no records were set by me this day, and no podium finish…but this was a race where ‘just finishing’ is worth bragging rights!